Welch Allyn CompacSet — Brownlie Design, Inc. 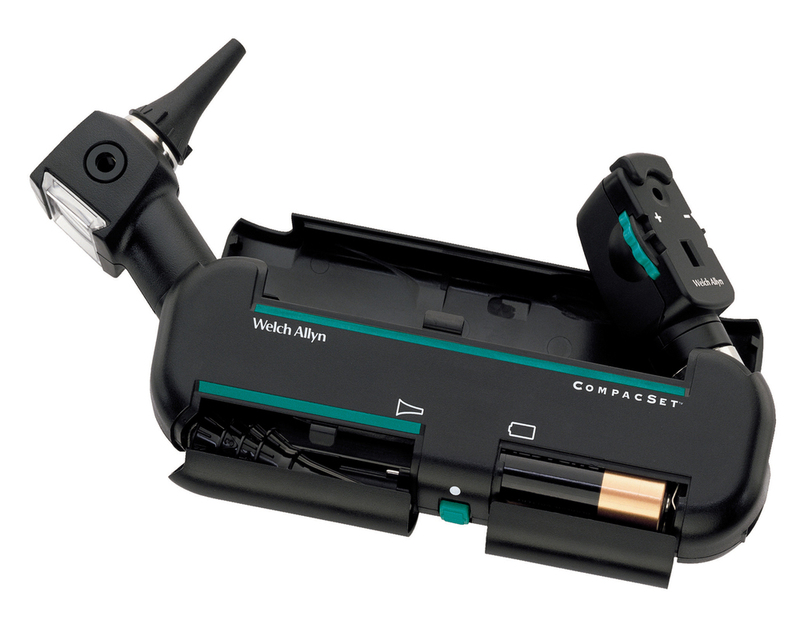 The CompacSet combines an ophthalmoscope with an otoscope, giving physicians two of their most commonly used tools in one convenient package. Both of these instruments along with specula storage and battery access are integrated into a simple, pocketable design shaped for a comfortable and balanced grip. This design enables physicians, who examine patients outside their offices, to carry one hard cased unit with one power source instead of two separate instruments.